Netflix is today world’s most trending online media store. With tons of movies, series and documentaries that you can stream on your Smart TV, gaming console, Laptop, PC, tab or iPad, mobile etc, it is one of the largest and popular streaming application. Moreover, you can even download content for offline viewing. All this seems fun, plus it is a little too trending too. But “Netflix and Chill” might seem a little too heavy on your pockets. Currently it is around $7 for one month for a single device standard definition (SD) subscription and goes up to $11 for 4 devices in HD. Even if it offers you first month free, the subsequent months that you wish to use is expensive. So what if you want to use it for just watching one show, or you realize you are not actually utilizing your account, and you feel you are shedding all that money to watch some movie or some show once in a blue moon, and it doesn’t seem fair. And those free sites either show way too many ads or they don’t have quality print. Some of them aren’t safe too. Well, only if you could hack into someone’s account. 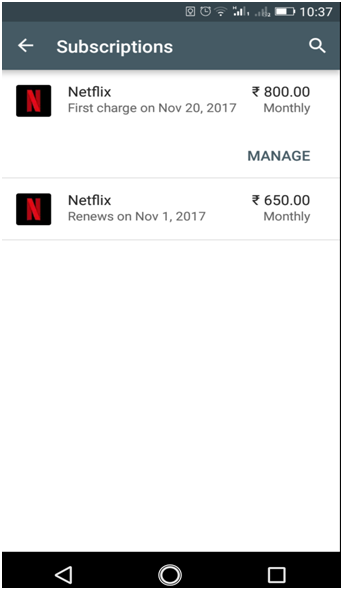 What if you get account details of a Netflix account for free? That would be good too right! A loophole in the Netflix payment mode has been revealed. It will help you to create your unlimited free trial account. Lets see how. 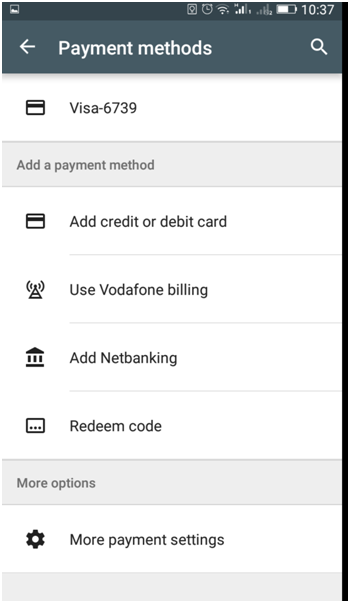 First you need to add your virtual card or debit or credit card in your Google Pay account. Any card will do. Then install the official Netflix application to your android device and proceed to signup. 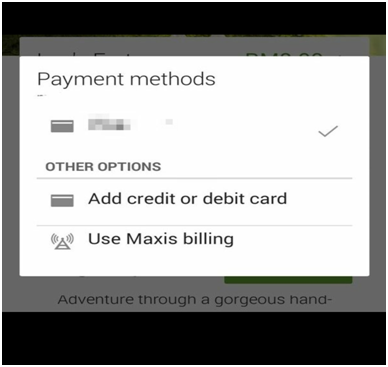 For bill payment, you will see a pop up that will ask you to use Google Pay for monthly billing method. Set this as your preferred billing option. Since the first month is free, you will have a Netflix account for free for one month. You can still create another free account with a new email on Google Pay following the steps above. But make sure you cancel your previous subscription. Sign in again using your new account. You can create unlimited free Netflix accounts for free. Netflix doesn’t allow you to create a new account with the same debit or credit card twice, as it stores payment mode and can detect it immediately. But under the Google Pay billing method, the same card isn’t recognized twice. This loophole can be easily manipulated. Yes, you will have to come up with new email ids every time. But worth it right? A cracked version of Netflix is provided by a modified version of Netflix application. Here you can get premium access for free. This application is similar to the Netflix one and is available for android users. You have to download the apk and enjoy the premium membership for mere entertainment for free. Netflix Mod Apk 2018 is available for download on the website. Here are a few features of this mod. You can access unlimited TV shows and movies as often and anytime you want. You can browse the latest additions of latest titles and content. You can also rate the content and take help from Netflix recommendations. You can start watching a show on one device and resume the same on another. Uninstall previous version of the Netflix application, if you have installed one. You can download the apk from their web site; just go to Netflix Mod Apk 2018. Now, install it on your Android device. This will require you to give permissions to third party applications. Open the application now and complete the Sign up process. They will ask you to enter payment details. Don’t worry, the first month is free so go ahead and make the payment. After Netflix activates your account, go to their official site to cancel it and then you get a free membership from Netflix. And you are done. You can now use the full features of your Netflix premium apk on your android device. Enjoy your Netflix account! Another hack that I have come across. While this might not be a full proof hack, you might be able to use the free trial version more than once. This is another hack where we use the Virtual Card that many banks provide. You can have SBI Buddy Card, Kotak 811, Axis ASAP card, Paytm Bank or Airtel Payments Bank cards without having to actually use cards. · All you have to do first is open an online account under these banks and generate your virtual card, you need not have balance in your account, only need to create one, that will require an Aadhar card, for KYC verification. You can create multiple cards under different banks. · Now you can sign up on Netflix and create a free trail account. For Payment options you can select to pay with your Virtual Card. · When free trial ends. You can cancel your subscription and create a new account with a different virtual card. This hack is useful for those who don’t actually use Netflix frequently but wish to catch-up on a show or two once in few months. Since Netflix doesn’t allow you to use the same card details twice, you can work with the online Virtual Card system to get a free account for some time. There are online websites and applications available that can help you create a free Premium Account without a credit card. An account generator is a program written for computer, PC, Laptop and MAC OS. 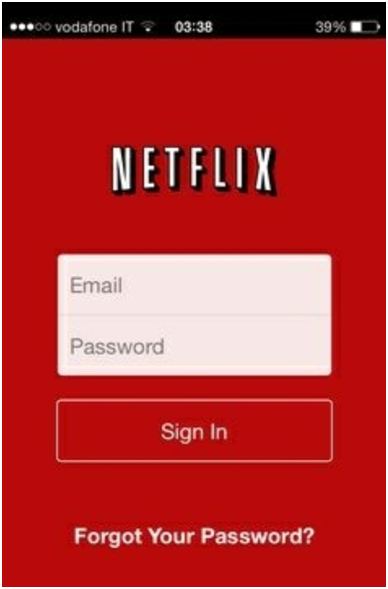 All you need to do is login and enter your password; after entering the required details the program will automatically create a free Netflix Premium account. The generator can be downloaded from Minimilist lifestyle. Just go to the website, they even have a preview video. If you don’t really wish to waste time creating new accounts and using account generators, all you wish is for a free account someone has already paid for. When you look up, you may find a number of different websites on Google offering Free Netflix Account and tricked Netflix free trial without credit card. They are a list of usernames and passwords. But the problem with them is they might not work due to per user usage limit. Using Netflix for more than a month is available for a fee, but here you can get access to free Netflix account emails and passwords that will give you access to the streaming of movies and shows. In order to watch Netflix, all you need is an active internet connection on your laptop, computer, iPad or even your phone. There is a list mentioned here, that you can try. One of them might work, as I mentioned before each user has a device limit, so depending on that you might not find access at one go. It’s always good to have something paid for free. It’s also amazing when you can stream your favorite shows online on a high end and popular service without going too hard on your pockets. Hope this article was able to help you with the same. Enjoy chilling with Netflix.